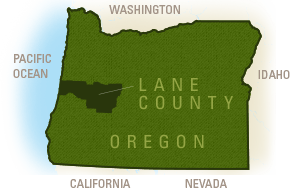 We are very blessed to live in Lane County Oregon and have access to an amazing array of healthy agricultural food products. We believe that a strong local food system contributes to the integral health of our entire community and are proud to share our bounty with guests who visit us! Our local chef’s understand they are putting our way of life on every plate which explains why our culinary scene is thriving. It is also the reason we are seeing growth in new food businesses and a hatching of new conference networking opportunities. Located in a converted church, this 3,000 square foot commercial kitchen can be rented by the hour. 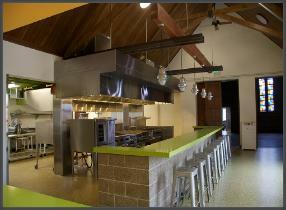 It is a terrific place to hold cooking demo’s, wine or micro-brew tastings or both! Kitchen@Sprout! was designed by NEDCO, a private, non-profit Community Development Corporation to help hatch new business opportunities for local residents. Located in a year-round indoor/outdoor marketplace for farm fresh eggs and cheese, local meats and fish, fresh vegetables, fruits, and artisan goodies this multi-purpose space offers planners the opportunity to help neighborhoods and families build assets through homeownership, neighborhood revitalization and business development. Hummingbird Wholesale is a full services wholesale distributor that incorporates humanity into the business relationship. They represent products carefully selected, grown sustainably and offering nutritional value. Their goal is to buy local and directly from the farmers whenever possible. 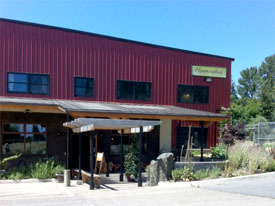 Located in a repurposed warehouse, reusing and recycling materials where possible to make it more environmentally friendly and energy efficient, they share their home with Willamette Farm and Food Coalition. Willamette Farm and Food Coalition’s mission is to facilitate and support the development of a secure and sustainable food system in Lane County, Oregon. The space they offer would be perfect for planners hosting sustainability or food based conferences who, like Hummingbird Wholesale, seek to sip the nectar of the earth without harming the flower. About the author: Sue Harshbarger is Senior Convention Sales Manager for Travel Lane County – Eugene, Cascades & Coast. After an adventurous career as a travel agent and in hotel management in Kentucky and on St Croix, USVI, Sue spun the globe and landed in Eugene. 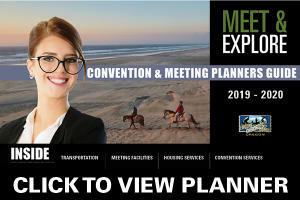 Her hospitality experience, passion for exploration and ability to connect people and topics make her the perfect go-to person when planning an event. She adores concerts, festivals, farmers markets, sustainable farms, cooking, walking, reading, friends, family and her husband Mike.